Michigan education officials are in the process of finding a new standardized test… again. 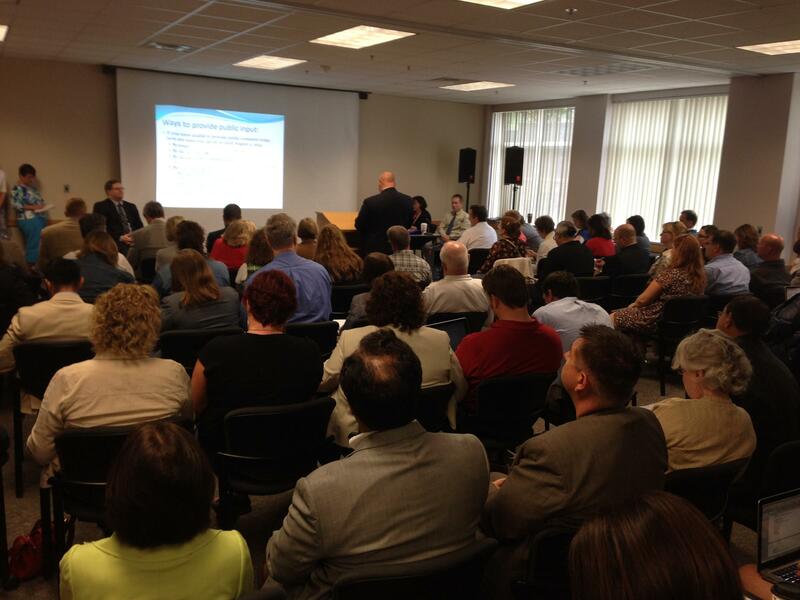 A public hearing on new standardized tests drew a standing room only crowd Wednesday in Lansing. More than a hundred people were in Lansing Wednesday to tell the Michigan Department of Education (MDE) what they want out of a new assessment. MDE had already chosen the Smarter Balanced assessment three years ago. But many lawmakers were not happy with that test because it's aligned with the controversial Common Core school standards. Similar fears about the standards were echoed by a number of people who spoke at the meeting Wednesday. But MDE officials say those concerns will not be considered. "At this point, we can't take those into consideration in informing the (request for proposal) because we have to comply with state law, which says we have to measure our state standards - and in English language arts and mathematics, they are the Common Core," said Joseph Martineau, MDE's deputy superintendent for accountability services. "So we have to adopt an assessment that does that in order to be compliant with the law." Deb Shaughnessy is a former Republican state Representative who is now with the group Students First Michigan - which supports Common Core. She says she does not think the Legislature's decision to start the process over is a setback. "I don't think it's a setback ever when you're responding to public input, public concerns, legislative concerns," said Shaughnessy. "Education is critical and we need to get it right."